Below you can find information on the conference venue, the hotel and also on the airport. The distance between the hotel and Folkekirkens hus is 1km and takes about 15 minutes to walk. If you need to go by bus you can do so, it takes 9 mins and there is a 5 min walk between the bus stop and Folkekirkens hus. You can find the travel information here (this is not included in the conference fee). There is of course wi-fi both at the hotel and at Folkekirkens hus. And at the latter there is also wired connections available. The easiest way to go to and from the hotel from the airport is by taxi, we recommend Dantaxi 4x48 Aalborg: you can book online or by calling: +45 98 10 10 10. 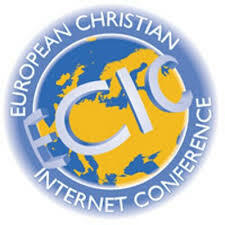 Please organise taxi-sharing in the ECIC Facebook-Group. The taxi ride takes about 15 mins. The conference language is english, but there will be a meetup for french speakers during the conference. The language is danish but english is a strong second language so you can easily get by with it, both at the hotel and in the city.